From Skyline Drive try Blackrock Summit, a geological wonder that’s an easy 1-mile loop. From the summit of boulder-strewn Blackrock enjoy views that extend for miles in multiple directions. From the Blue Ridge Parkway, try Humpback Rocks; a challenging two-mile hike offering amazing views from the top of this popular rock outcropping. For those looking for an easy leg-stretcher start at the Humpback Visitor Center and take the Mountain Farm Trail (.25 mile) leading to the Outdoor Farm Museum where you can tour a 19th century log cabin and outbuildings complete with costumed interpreters providing demonstrations of subsistence farmers. Another nearby hike, Catoctin Trail, starts at the Humpback Rocks picnic area and is an easy walk (.3 mile) leading you to an overlook of the Shenandoah Valley. Spend the afternoon discovering the region’s flora and fauna culminating in a picnic lunch. Or take the road(s) less traveled through the Shenandoah Valley. 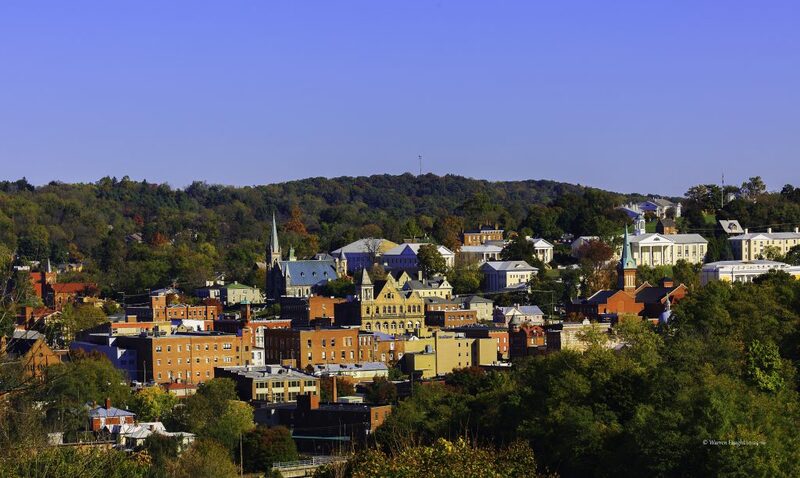 Traveling to Staunton–headed south–hop on Route 11 which parallels Interstate 81 and is a pleasant drive through charming small towns. Along the way, and not too far off Route 11 you’ll find: Route 11 Potato Chips, Luray Caverns and Dayton Farmers Market. From your home-base of Staunton you can continue south on Route 11 to Lexington with a stop at another natural wonder: Natural Bridge. From Staunton take Route 250 west to Monterey. Driving through the town of Churchville consider a stop at T-bone Tooters for lunch and then a jaunt at the top of Shenandoah Mountain. From the top of the mountain, is a popular viewing area and features an easy half-mile, winding-trail that offers an access point to the gently rolling Shenandoah Mountain Trail, and Ramsey’s Draft Wilderness. Another scenic route from Staunton is Route 252 toward Lexington. Start your morning at the Staunton Farmers’ Market for breakfast and some shopping. Take Middlebrook Road from Downtown Staunton (passing Sunspots Studios) and make your way through the small towns of Middlebrook and Newport before hitting the historic Wade’s Mill. Conclude your scenic drive at Rockbridge Vineyard before you heading back to Staunton for a farm to table dinner and a show at the American Shakespeare Center’s Blackfriars Playhouse.